Resolve to eat more beans in the New Year! Beans provide excellent dietary Fiber and minerals and are a low cost, lean protein for healthy eating. 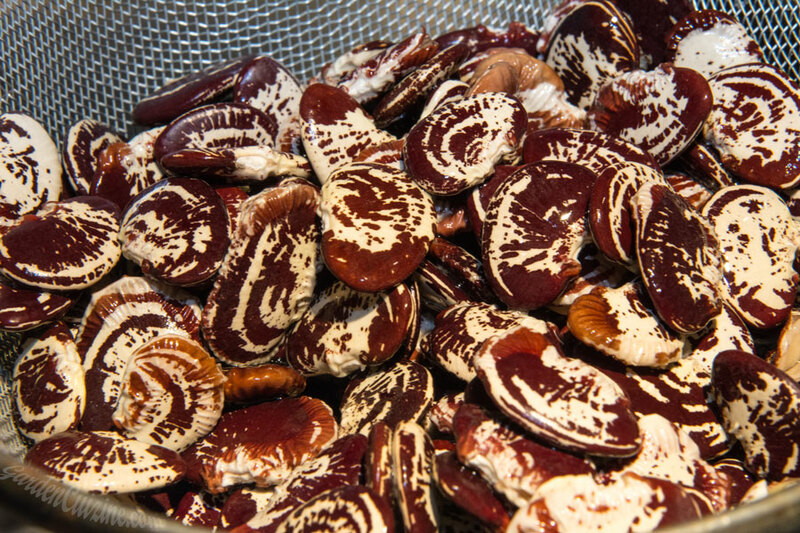 Christmas Limas have a pleasant chestnut texture. Prepare them as you would any bean. 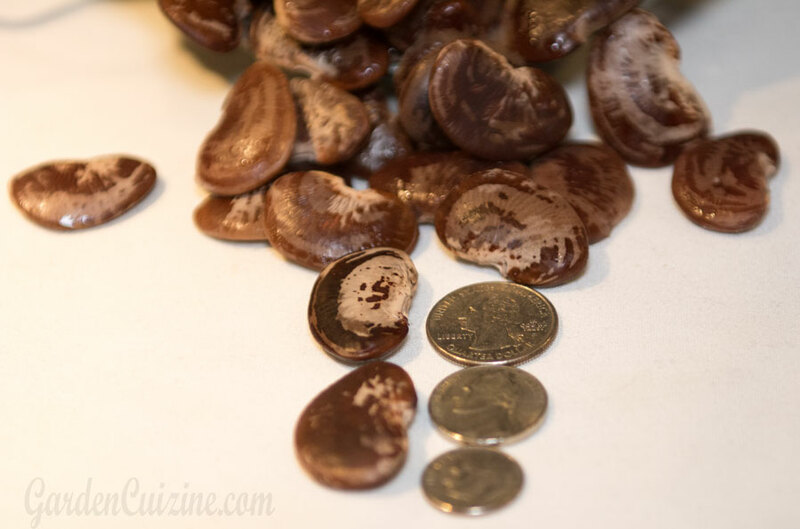 You'll notice that after cooking, the beans will become huge - up to the size of a quarter! 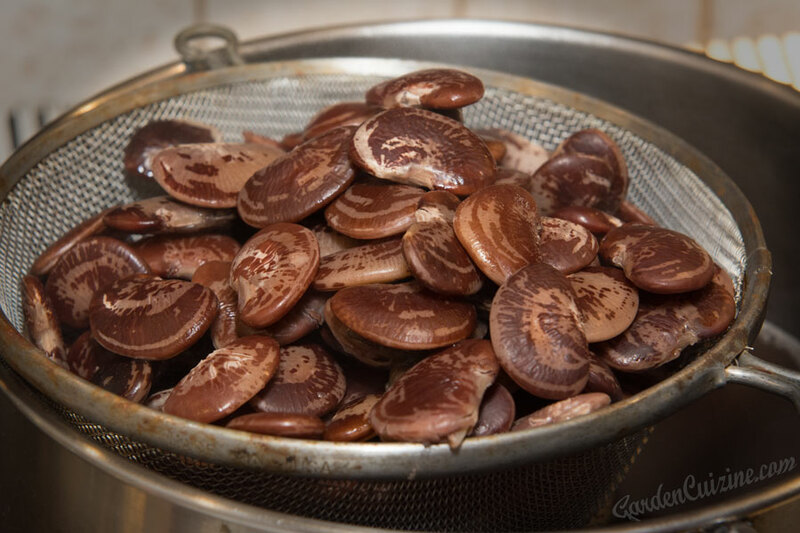 Prepare heirloom beans into a vegan or vegetarian main course or side dish; or enjoy Christmas Limas any time of year as a side to compliment a lean protein (tofu, chicken, fish, pork, etc.). We served Christmas Limas last night as a side dish with grilled chicken and a salad. As you can see in the photos, the beans become more brown when cooked. We haven't tried growing limas yet, but have heard that they are easy to grow. You can look for dried heirloom Christmas Lima beans from local gourmet suppliers or online from suppliers like Rancho Gordo, which is where we bought ours. Lima beans are indeed a bean, but they are also starchy, so rather than classifying them in the bean (legume) category, the DGA classifies Lima beans in with starchy vegetables like potatoes, green peas, corn, plantains and cassava. Beans are unique; because of their excellent protein content, 1/4 cup of cooked beans can count as one ounce of protein. Research shows diets rich in high fiber foods, such as beans, may reduce cholesterol and the risks of heart disease, obesity and type 2 diabetes. Place dried beans in a stock pot. Top with water to cover by an inch or so. Let soak for 3 hours (or whatever works with your schedule; there really is no set time). Drain water. Refill pot to cover beans by 2 inches. Add small piece dried kombu seaweed. Bring to boil. Reduce heat and simmer partially covered until tender. Drain and set aside so beans don't overcook - SAVE bean liquid. Remove and discard kombu. Saute onion in 1 Tblsp olive oil. Add peppers. Stir and cook until onions are translucent. Stir in molasses, dry mustard and sugar. Add ketchup, Worcestershire and liquid then beans. Stir gently to combine ingredients. Stir in cider vinegar, salt and black pepper. Bring to a boil. Transfer to a baking dish and bake covered 30 minutes at 375 deg. Uncover, reduce heat and cook another 15-30 minutes.